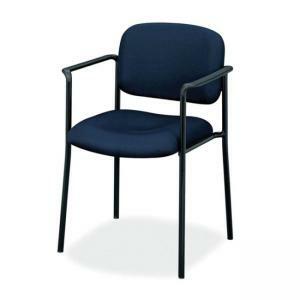 Guest chair with arms is a perfect addition to your conference room, lobby or anywhere extra seating is needed. 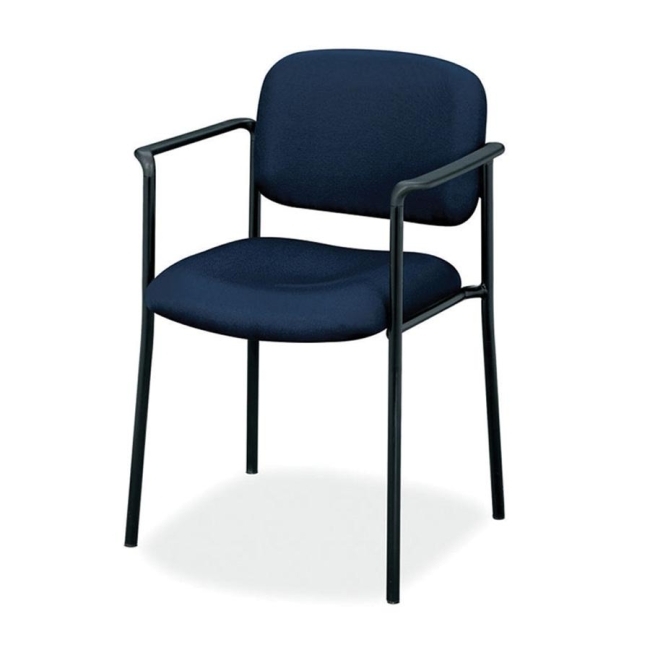 Design offers a contemporary look with plastic arms, a black round tube frame and padded seat and back. Seat measures 19" wide x 17-1/2" deep x 19" high. Back size is 18-1/2" wide and 14-3/4" high from seat. Distance between the arms is 20-1/8". Guest chair stacks four high. Chair weighs 14.3 lb.